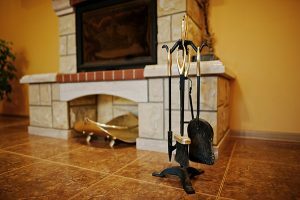 Owning a fireplace is something that many homeowners desire. The elegance, comfort and warmth is unmatched by anything else you can add to your home. For those that do have fireplaces, deciding the right fireplace design is very important for the overall look of a room. If it’s not taken care of or simply not designed at all, a fireplace can create an eyesore and detract from your home’s look, feel and value. That’s why you must carefully choose a fireplace design. 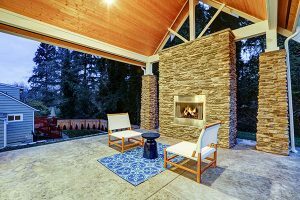 In this article, we’ll go over some of our favorite fireplace design ideas to give you some inspiration for your own home. 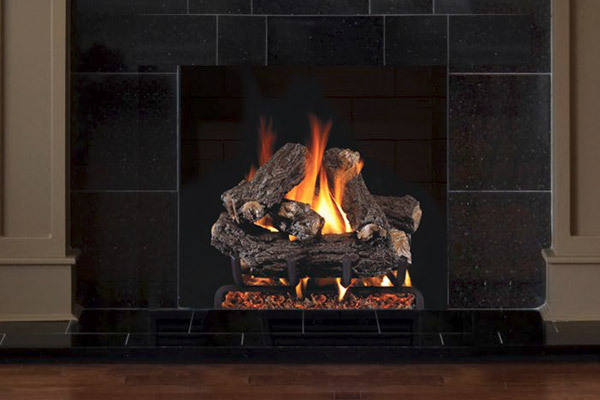 One of the most common accessories on a fireplace is the mantel. A fireplace mantel is the area above the actual fireplace that creates a shelf. Almost every traditional fireplace you see features a mantel of some sort. 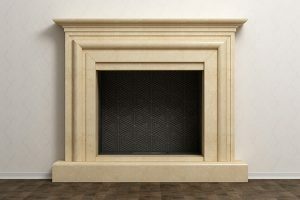 Mantles can be made from a variety of materials with popular choices being wood, stone and brick. Updating your mantel can completely change the overall look of your fireplace. 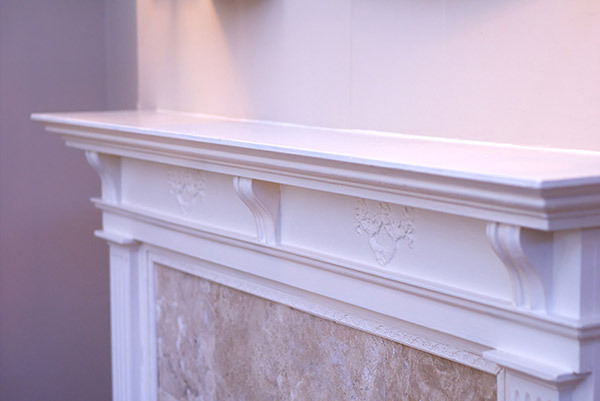 If traditional and classic is more your style, you can choose an intricate design on your mantel such as an engraving in stone or a molding on a wooden mantel. Although fireplace mantels are seen as more of a classic design, you can still utilize a modern or contemporary design for a fireplace mantel. For example, a nice, sleek and straight edge mantel would do the trick. Another way to make your fireplace mantel look modern is to create a shelf that sits above the fireplace and doesn’t encase the area rather than using the space all around the fireplace. This creates a floating look. Homeowners decorate their mantels differently, but some common themes are to place pictures or plants on them. A lot of older fireplaces feature an open style with little to no barrier between the room and the fire – sometimes there’s a thin mesh style gate covering the fire. Homeowners nowadays are more conscious of safety and energy efficiency than ever before and open fireplaces are becoming more of a rarity. Installing a fireplace glass door is perfect for those who want to get more out of their fireplace while adding a nice visual touch. Not only do fireplace doors add to the beauty of your fireplace, they help it burn more efficiently and make the room safer. They allow the fire to burn much slower and prevent any drafts from the outdoors getting into your home while you’re not using your fireplace. When you choose a company like Early Times, you’ll be able to choose from many different styles to help match the rest of your home. You can get a free quote online for your new fireplace glass doors right here. Aside from the mantel, there’s also your fireplace frame or wall. This is the area directly surrounding your fireplace. Often, it’s the same as your mantel, but for those really looking to enhance the appearance of their fireplace, it can be a completely different piece to the puzzle. There are also more options for fireplace frames as opposed to mantels. The material can range anywhere from wood or stone to something more elegant like limestone or marble. A popular technique is to mix and match what you use for the mantel and frame to help the fireplace really take control of the room. You want people to notice it right when they walk in and it’s often the focal design point. Something that may get overlooked is the floor that surrounds the fireplace. However, it can actually help out the design very much and be the missing piece that you’ve been looking for. Much like the framing, the fireplace floor can be made from a wide variety of materials. 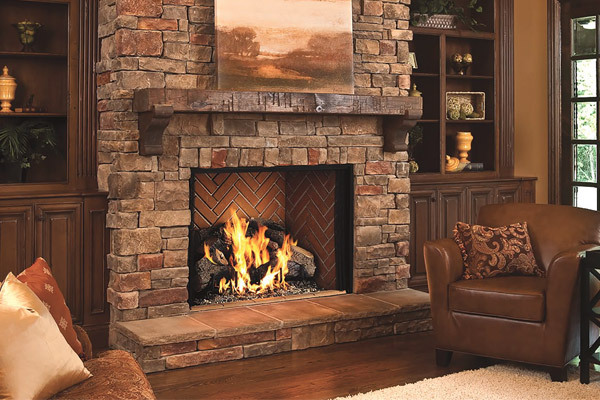 For more traditional style fireplaces, you can choose brick or stone. Modern designs often feature some sort of smooth tile or slate. For fireplaces that aren’t completely flat on the floor, the area surrounding the fireplace often creates a bench-like structure. You can think of it as a mini deck for your fireplace. It can be made from the same kinds of materials as fireplace floors are made from. Fireplace floors are another way to help it stand out from everything else in the room. However, you don’t want to go too overboard with the design and have your fireplace end up clashing with the rest of the room. For example, you want to keep the main theme of the room in tact. You normally wouldn’t see a traditional old-style brick fireplace in a contemporary style living room. One of the most trending fireplace design ideas is to install a fireplace insert in an existing masonry fireplace. 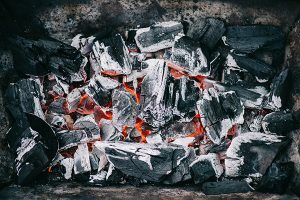 Homeowners do this when their chimney no longer functions properly or when they don’t feel like keeping up with the maintenance of a traditional fireplace. Fireplace inserts come in all different shapes, sizes and can be wood or gas burning. One of the biggest benefits of inserts is that they’re extremely energy efficient compared to classic masonry fireplaces. With the rush of modern home design leaning more towards efficiency and convenience, it only makes sense that inserts are growing in popularity. For gas inserts, all you need to do is push a button to ignite the fire and you have a warm fire in seconds. Wood burning fireplace inserts are also convenient because the fire burns hotter and longer thanks to the air tight chamber. 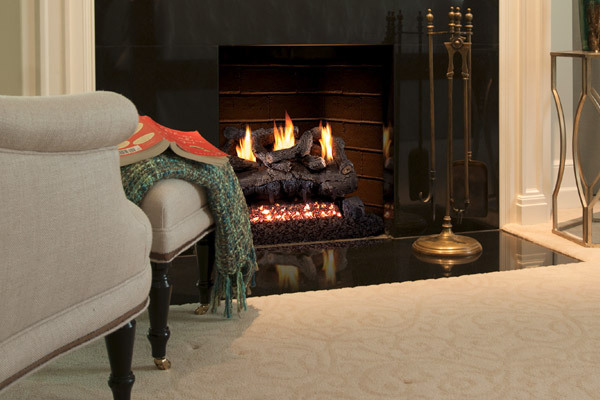 The heat will radiate better throughout the room than with a traditional open fireplace. Fireplaces aren’t a standard feature in homes – they can be customized to match any home interior from classic to contemporary. Also, the fireplace stems further than just the actual opening. There are mantels, frames, doors and flooring and you can mix and match them all to create the fireplace of your dreams. 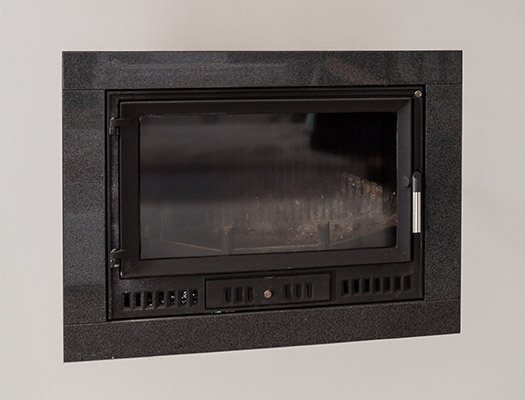 If you’re looking for fireplace glass doors, inserts or even ventless fireplaces, you can trust Early Times to provide the absolute best products and service in all of Chicagoland. We’ve been serving the area for over 30 years and have the skills and experience necessary to get the job done right. Start your fireplace design project today with a free quote online from Early Times!